Metro Green, LLC is conveniently located on the Mount Vernon / Yonkers, NY border line with proximity to all local truck routes. Contractors ranging from lower Westchester County, Bronx, NY and Conneticut can easily travel to our recycling facility for all their construction needs. At Metro Green we are constantly trying to grow and evolve in the recycling and construction industry with the needs of our customers as the primary focus at all times. 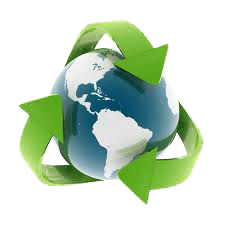 Our recycling facility makes us a unique company that services the everyday needs of all contractors and homeowners. Our primary goal is to provide a versatile facility that is a "One stop shop" for contractors. At our facility, contractors can safely dispose of their construction waste, pick up their gravel or soil products all at the same location. Metro Green is a company that looks to the future in collaborating towards a cleaner, greener and more environmentally friendly construction industry.